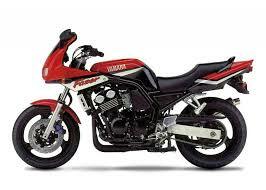 Free 1998-1999 Yamaha Fazer FZS600 Service Manual FZS-600 98 99 The Yamaha FZS600 Fazer is a sport motorcycle produced by Yamaha between 1998 and 2004. It is the predecessor to the Yamaha FZ6. During its production run, it underwent several changes before being discontinued in 2004 due to European emissions laws coming into force. The FZS600 was first unveiled at the Paris auto show in 1997, and shares parts from other Yamaha models, notably the engine from the YZF600R Thundercat, detuned to give more mid-range power, and the front discs and blue-dot calipers from the YZF-R1.